media (for free) to expand your audience and automatically attract your ideal customers. You want to get in the media and have articles written about your business but you don’t even know where to start, right? 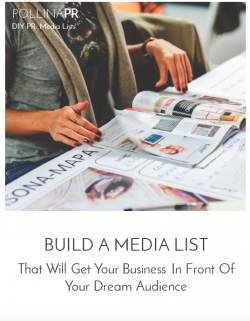 This short guide walks you through the first step, which is creating a targeted media list! It takes you through step by step in a really easy-to-read and easy-to-follow way, and leaves you with a totally completed media list. Free media list template included. 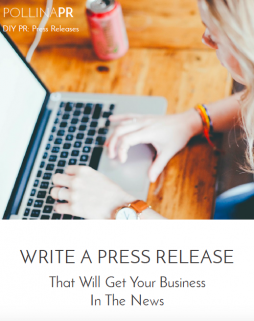 Walk through the steps of writing a press release, including a free template showing exactly what your release should look like. Not sure you want to buy anything today? No problem- you can have something for free! Check out the free ebook on easy ways to promote your business!